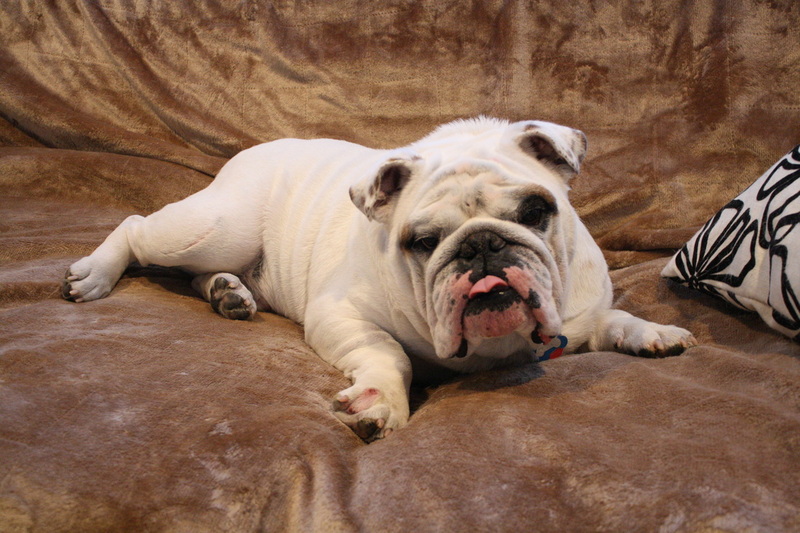 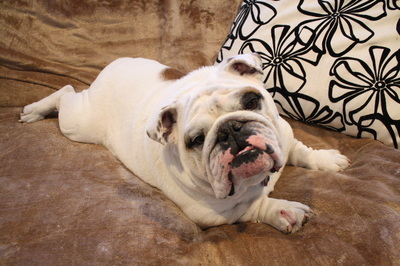 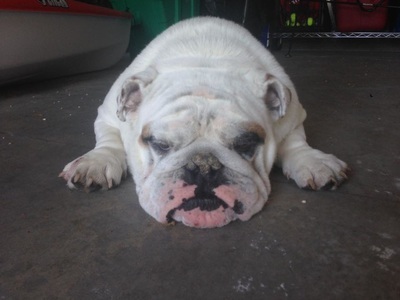 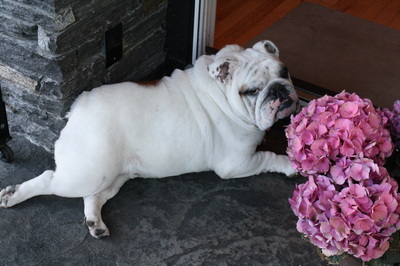 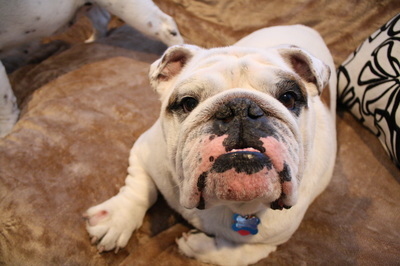 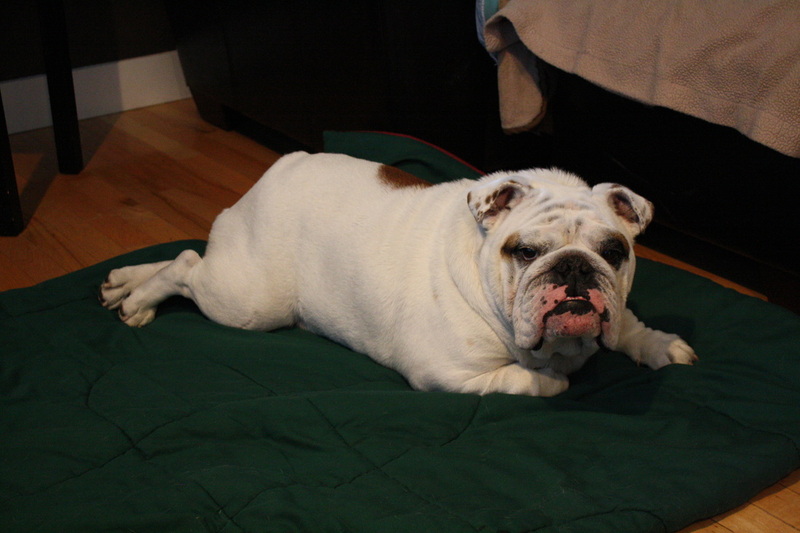 Moto is a 4 yr old English Bulldog and we have to say he's so handsome but his name just doesn't seem to suit him we call him Marshmallow. 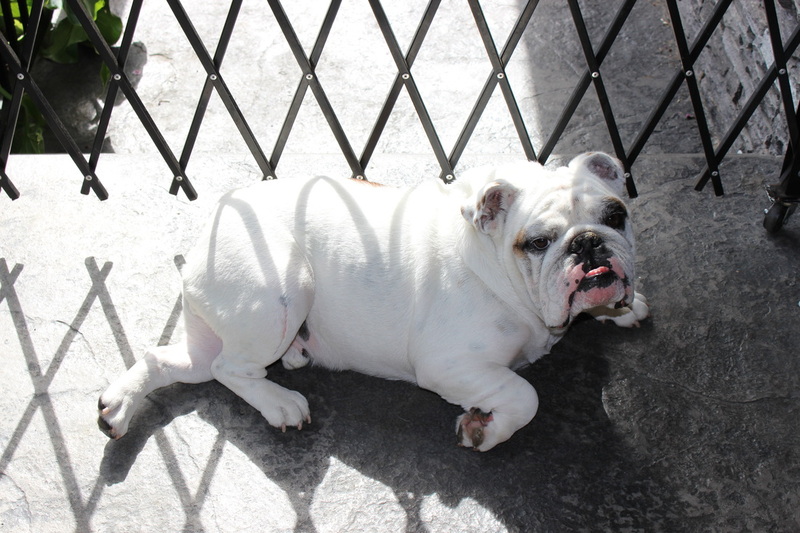 Moto is a lovely sweet guy very relax chill and only puts his motors on when he's ready for food and on a mission for something he wants to do or will head to the nearest person for snuggles and belly rubs. 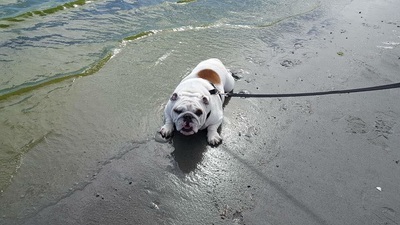 Moto came to us morbidly obese starting at just slightly under 65 pounds but we are happy to report so far he's lost quite a bit of weight now at 57 pounds! 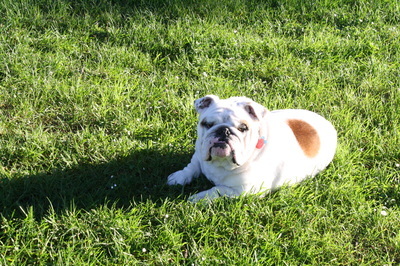 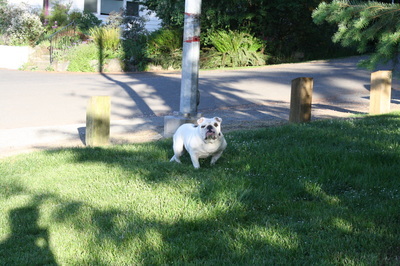 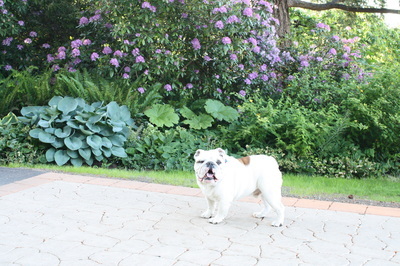 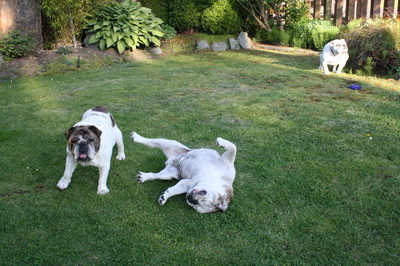 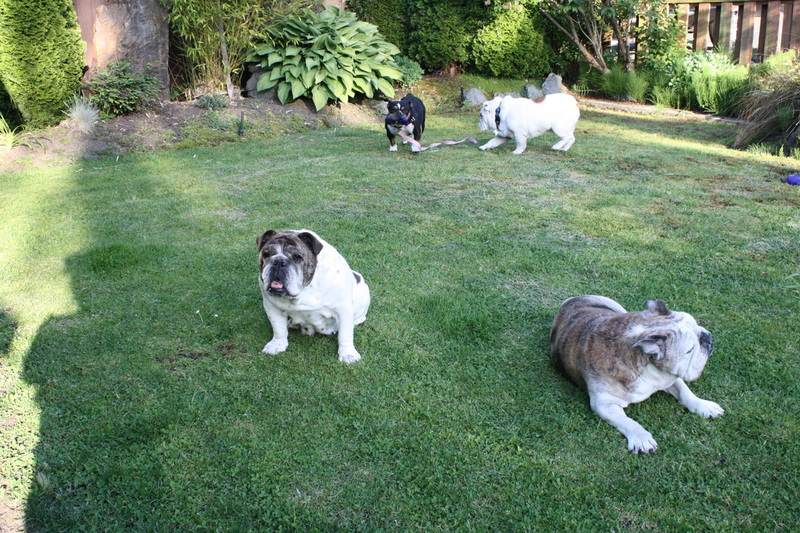 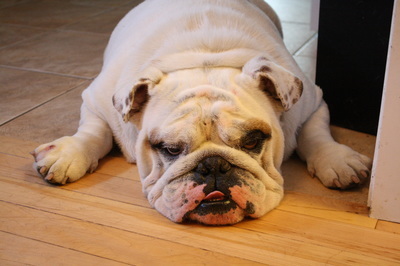 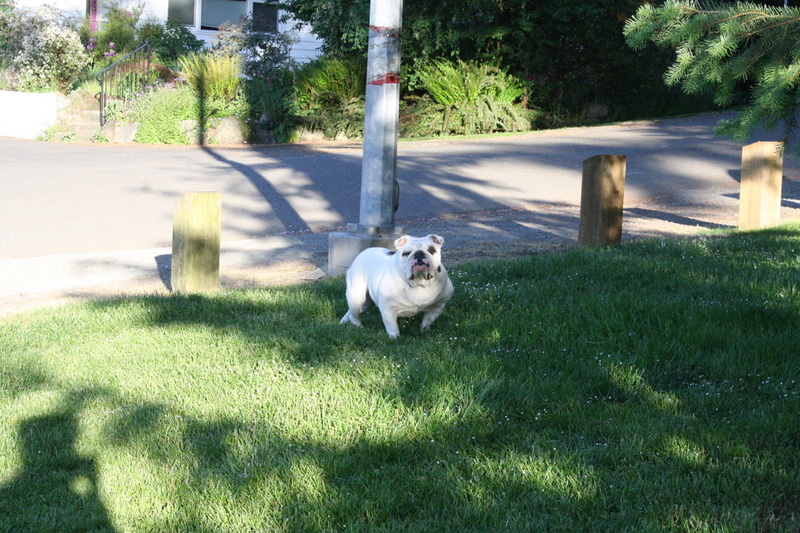 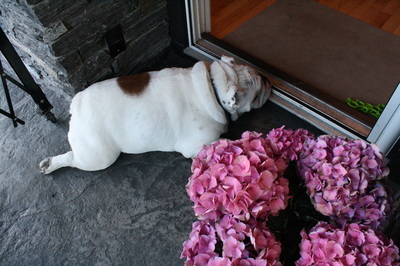 As he's lost weight he has become more active & acting more like a 4yr old bulldog rather than a 10+ year old senior. It's currently still very hard for Moto to lose weight as he tires quickly due to carrying the extra pounds and lack of muscle ton and cardio prior to coming in. 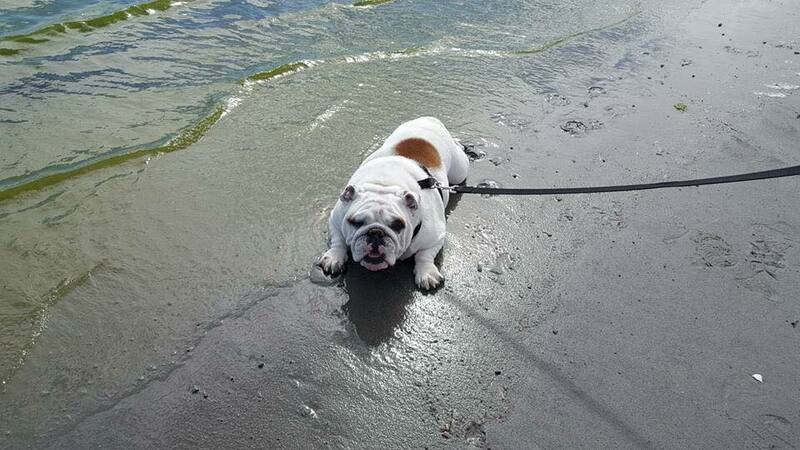 Moto is currently losing weight with proper meals and multiple short walks daily plus he's working out at Hillside Veterinary Hospital twice a week in the hydrotherapy tank as he has had previous knee surgery. 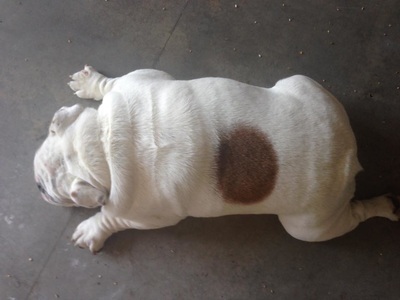 Moto's other medical issues are related to his skin having inter-digit cysts and also a very dry crusty nose. 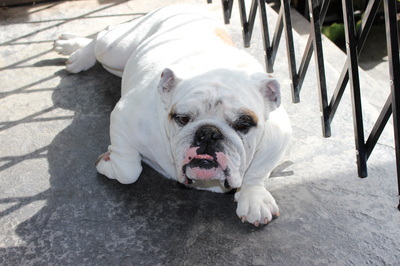 We are working hard on dealing with the feet but most likely Moto will have life time on-going issues with inter-digit cysts but hopefully we will find a good resolve for him, so please take this into consideration. Moto is micro-chipped and neutered and is update to date on all his vaccines including rabies. He also is on flea control just in case but doesn't have fleas and we would like to keep it that way!. 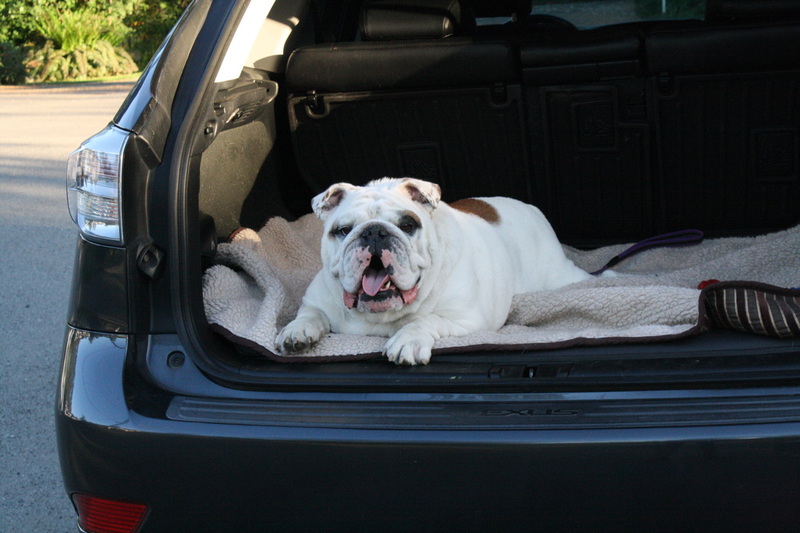 He loves going for care rides and happy to sleep on the couch or at your feet. 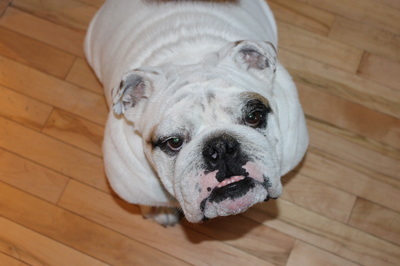 He also loves a health snack of apples but like them with the skin peeled off for him what a prince. 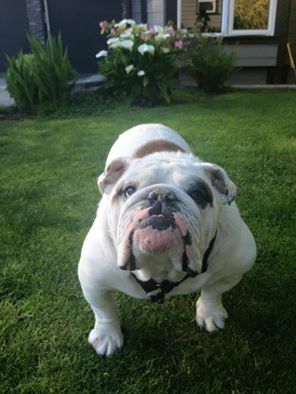 Moto will be available for adoption but right now we are concentrating on getting his medical needs sorted out :) Moto likes dogs but we have learned he has horrible play skills and is much more of the fun police than the dog park dog. Moto does good with calm relaxed dogs and does have some doggie friends but can't seem to play nicely with others. We are working on counter conditioning him to other dogs playing without interfering. 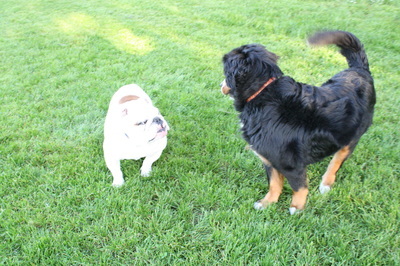 As well working on building his positive interactions with other dogs. 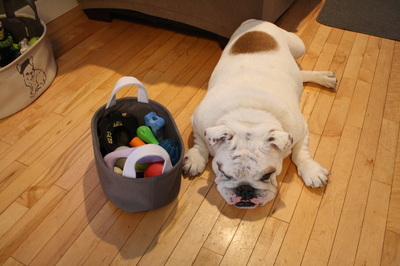 Moto's dog interaction issues will be lifetime so his new owners will be required to do some more training with a dog trainer. 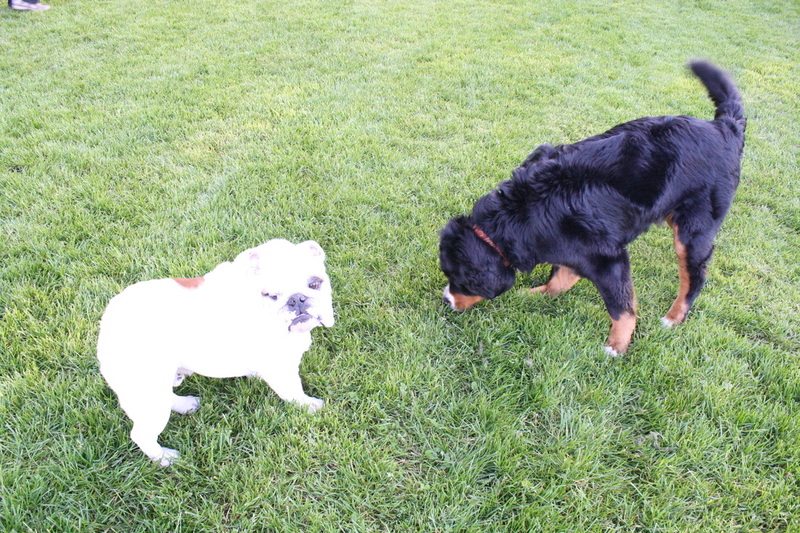 Also Moto likes cats, he would be happy sharing space with one. 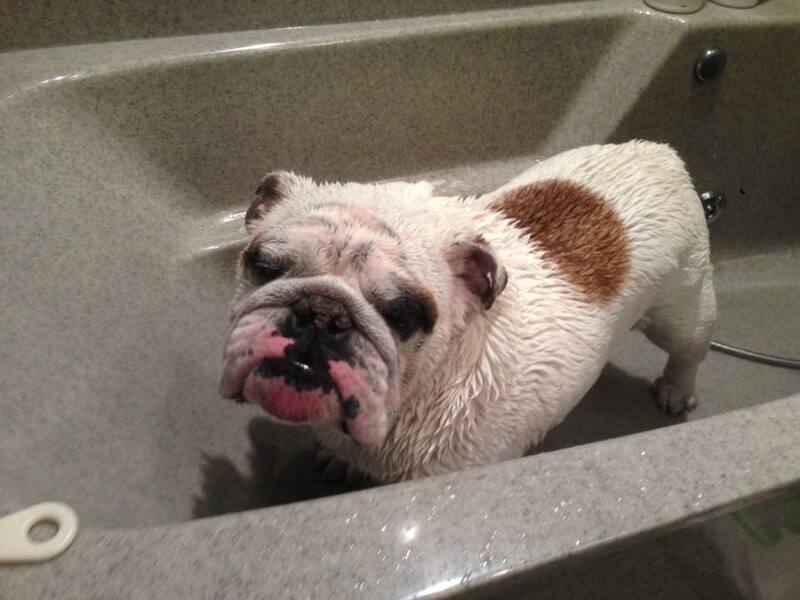 He has no issues at bath time, cleaning wrinkles, ears and trimming nails. If you have more questions please don't hesitate to ask! 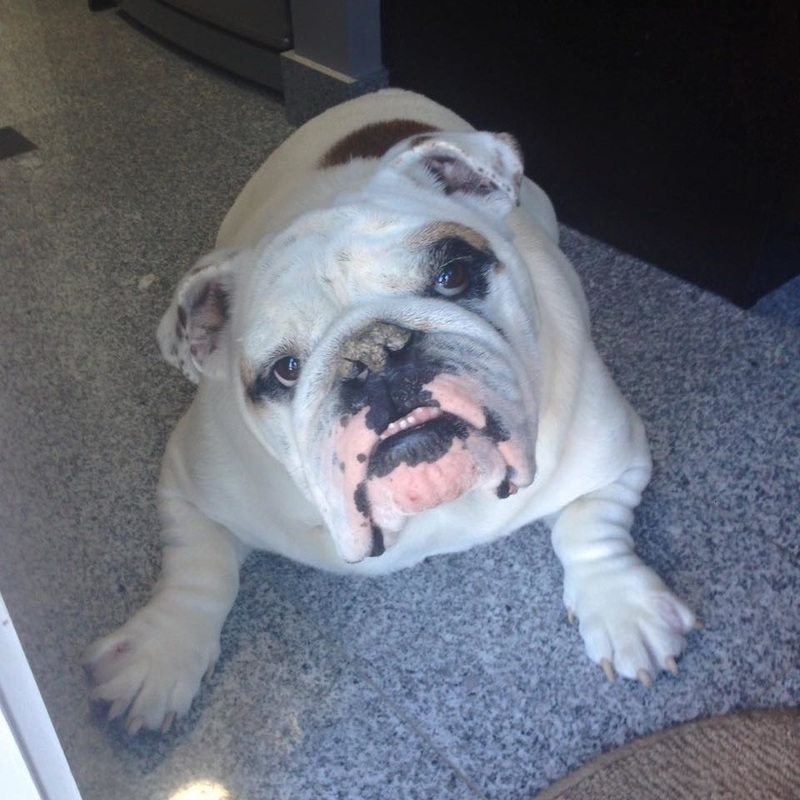 Thank for checking out Moto and if you would like to apply to adopt Moto please click the link below to receive an application. 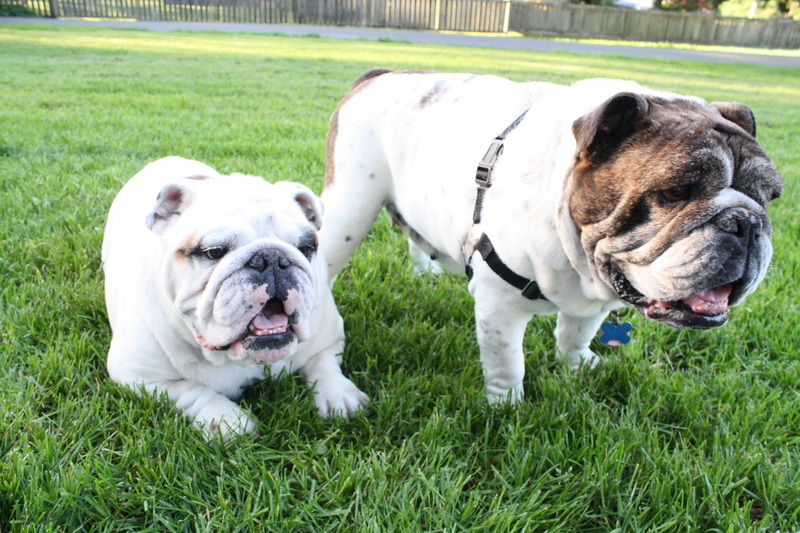 We are currently trying to raise some money to help with medical costs for Moto, aka Marshmallow, & Dozer. 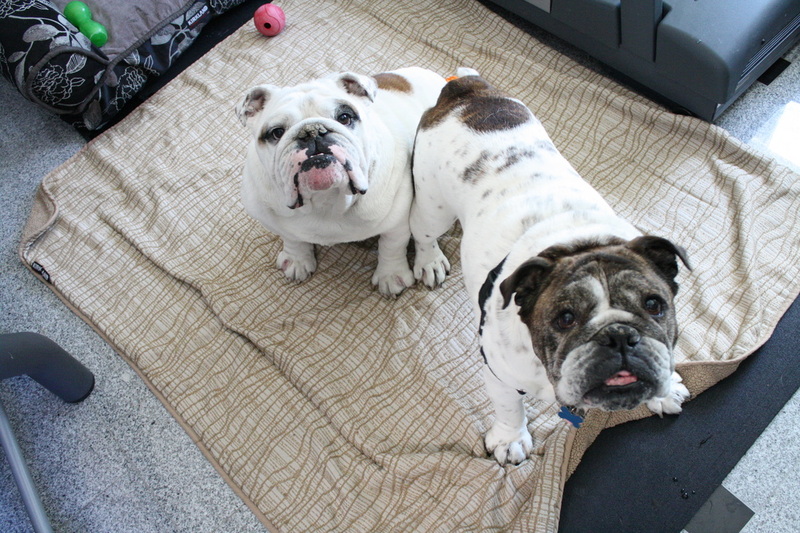 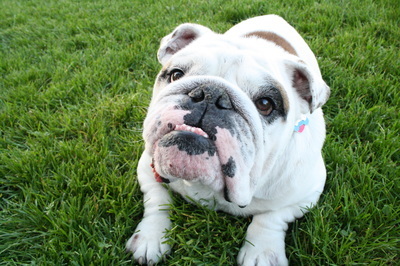 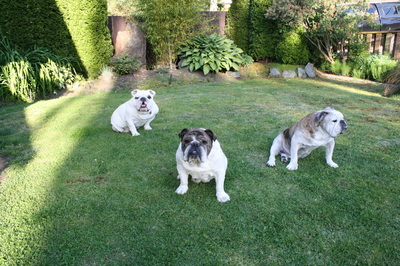 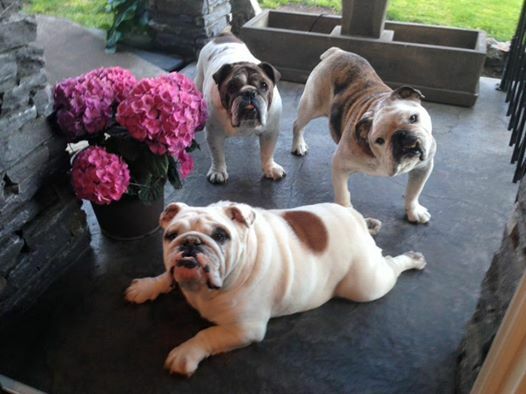 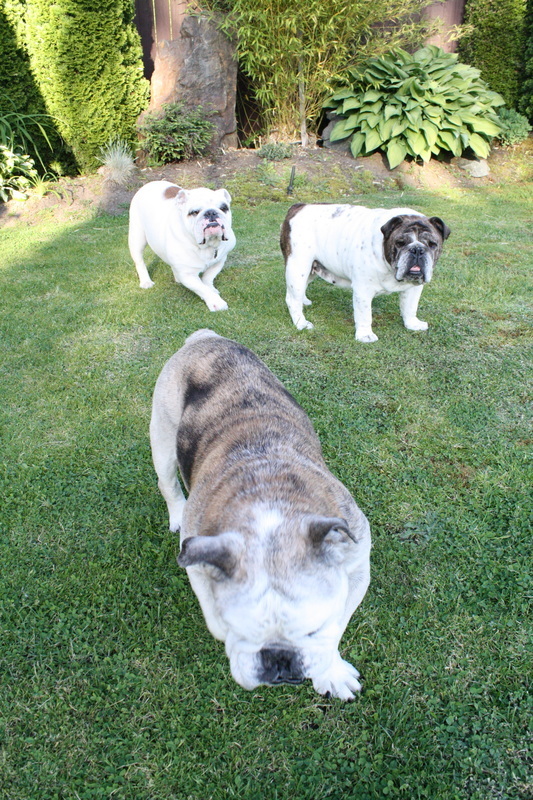 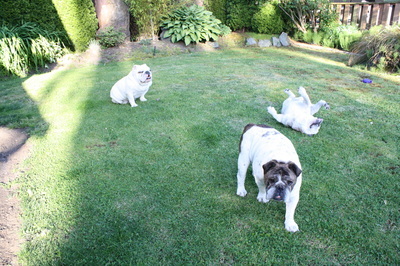 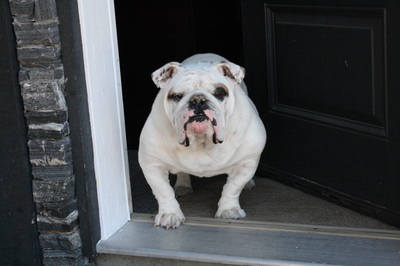 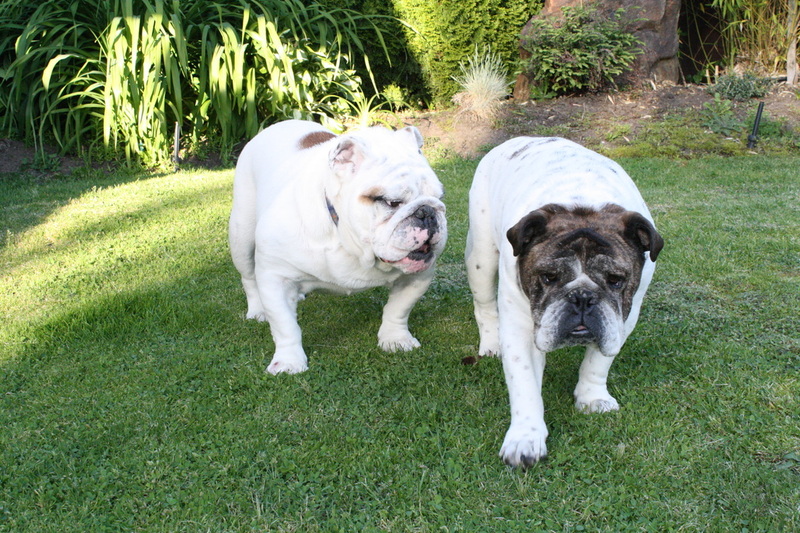 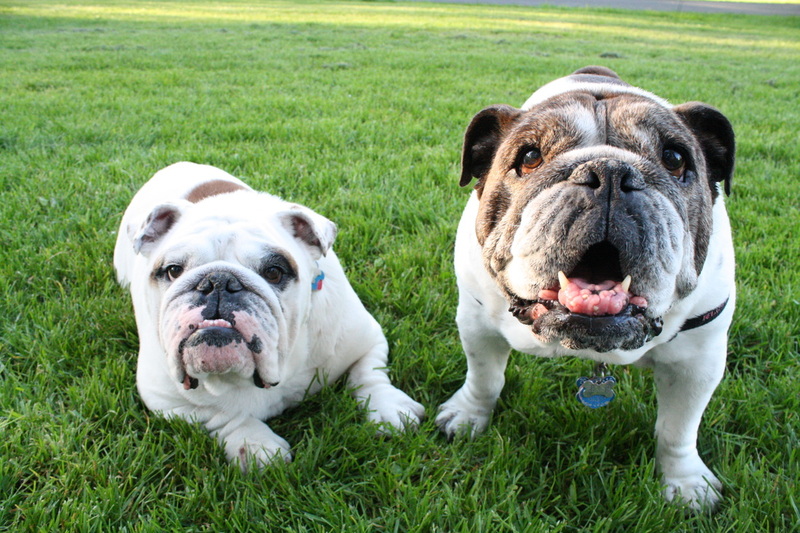 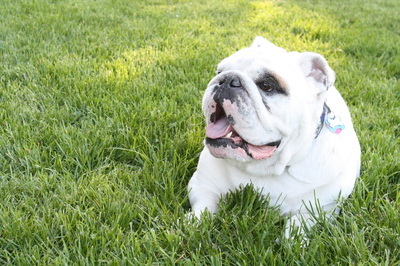 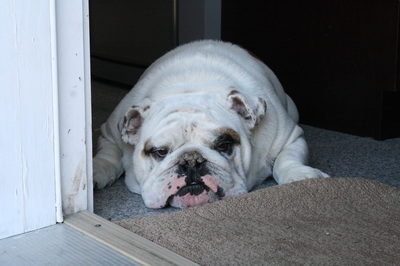 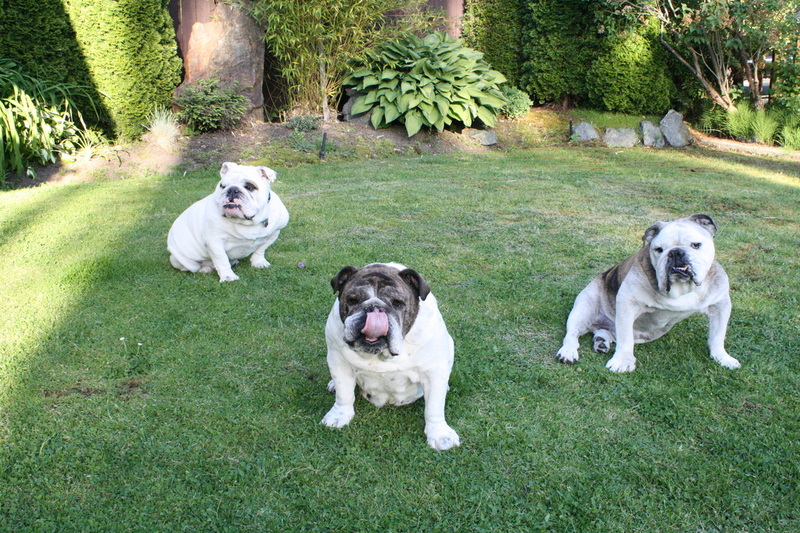 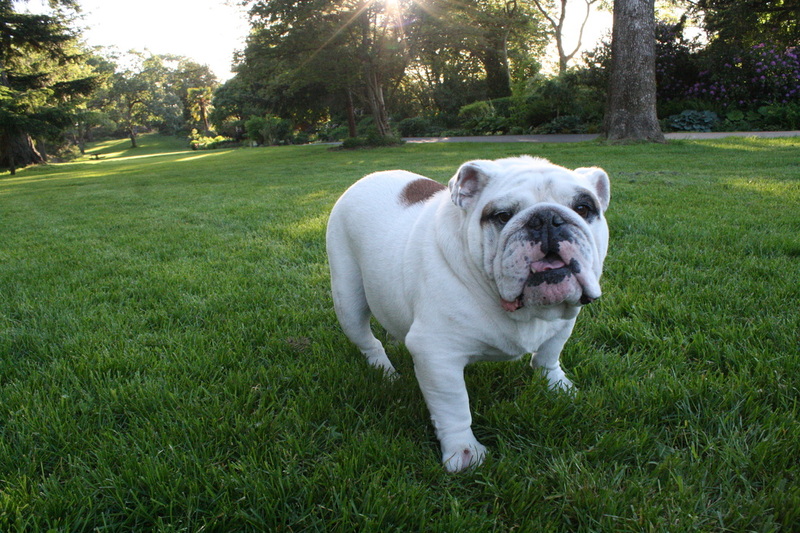 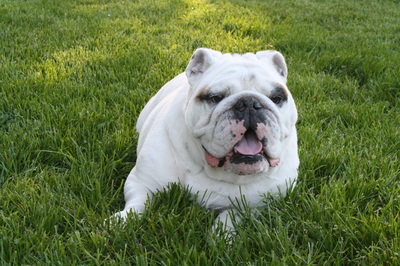 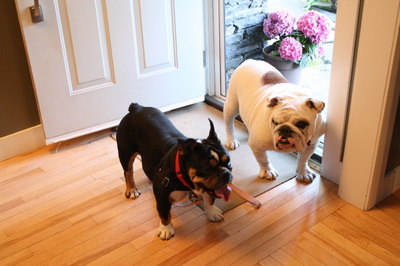 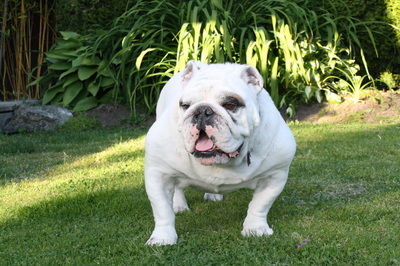 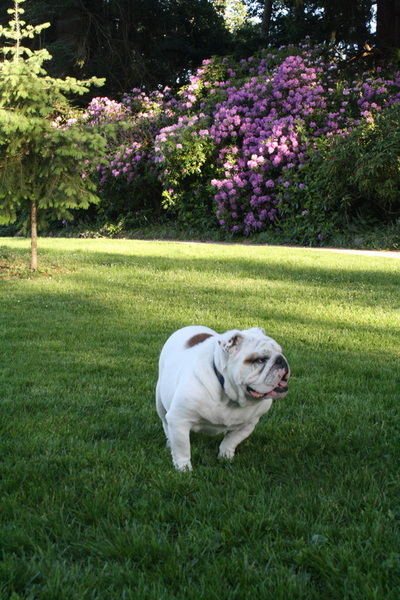 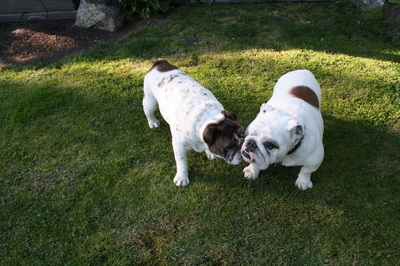 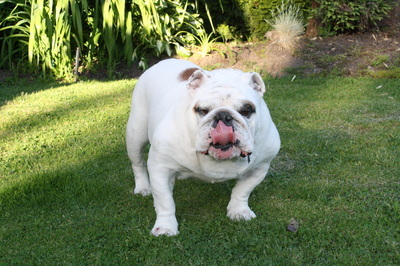 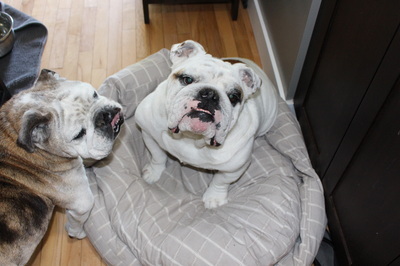 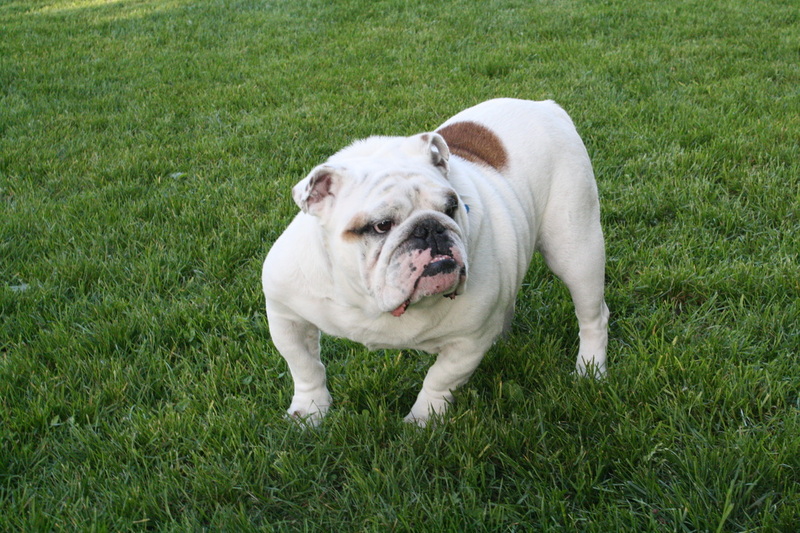 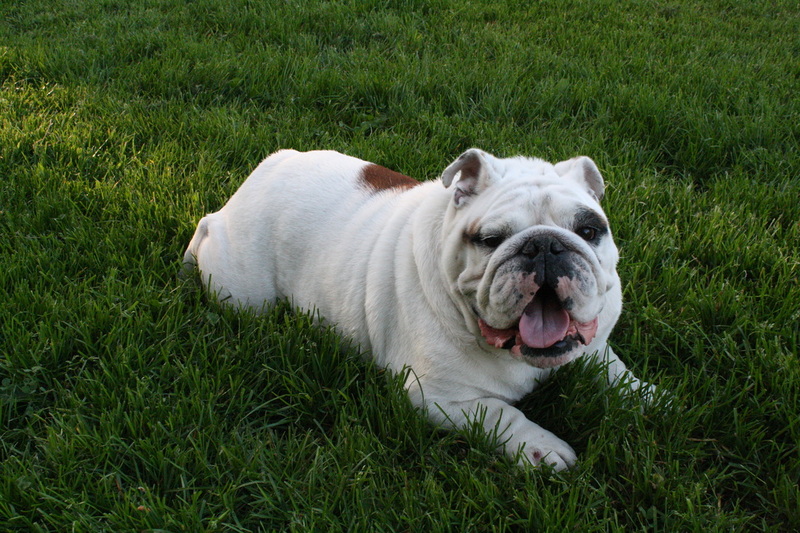 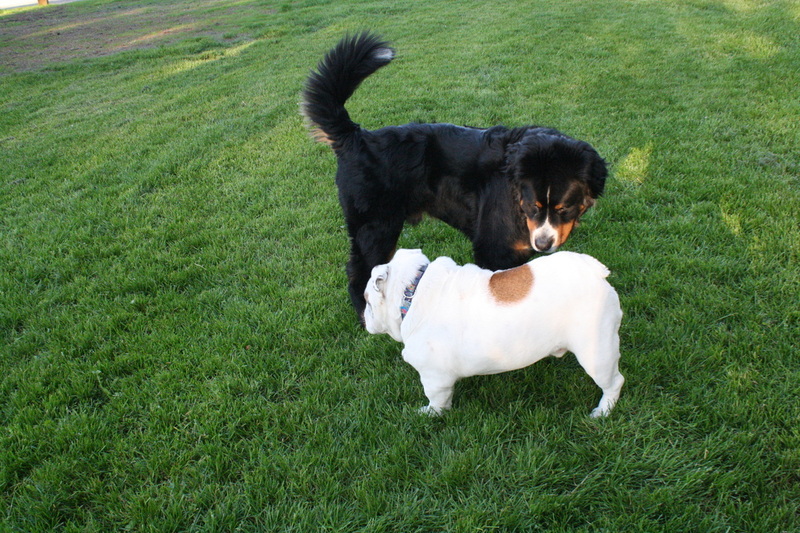 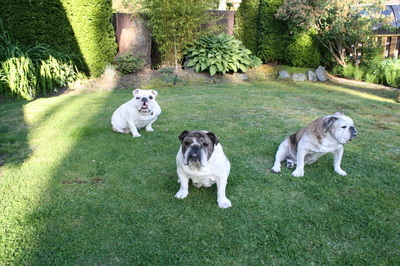 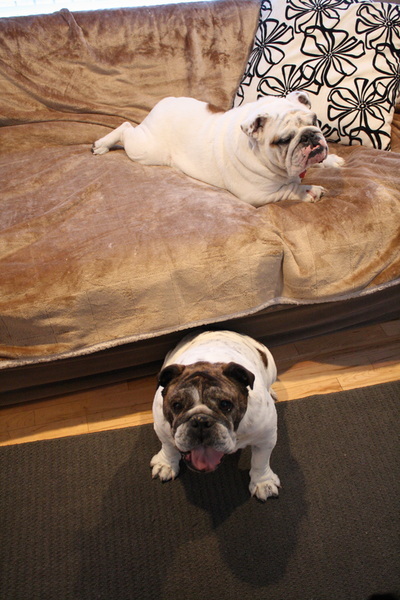 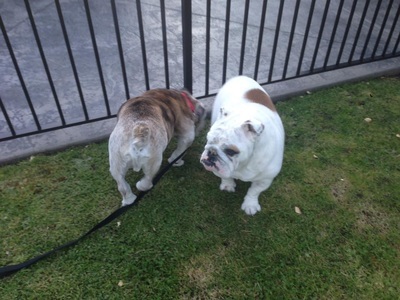 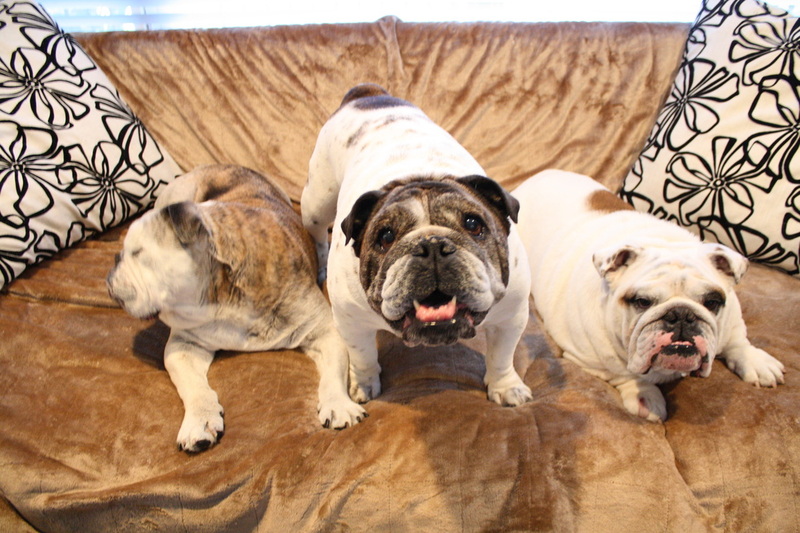 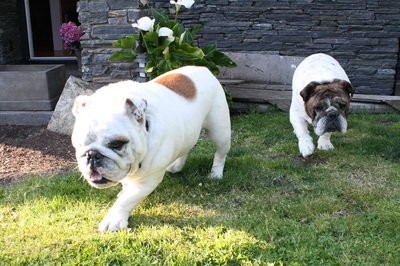 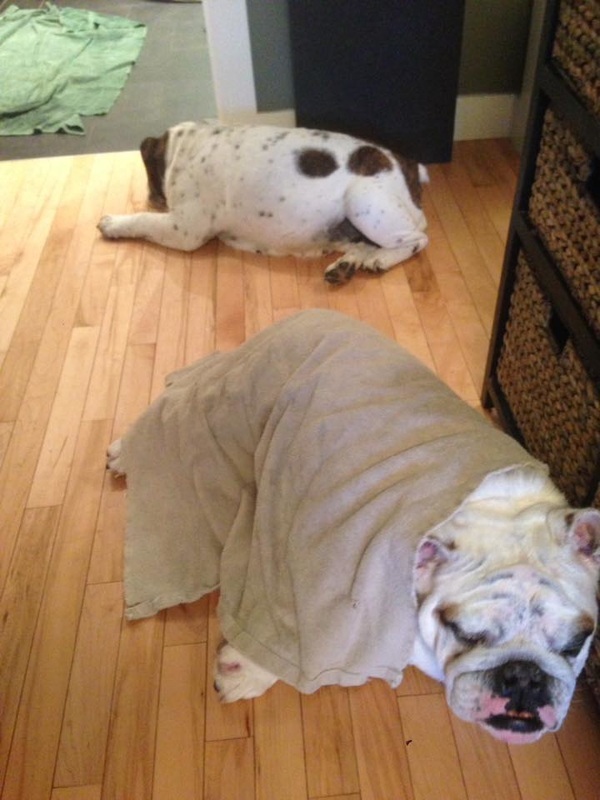 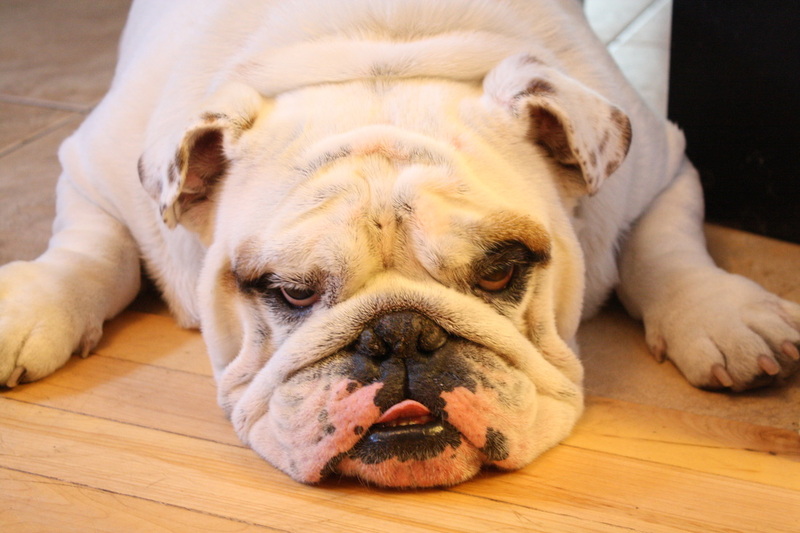 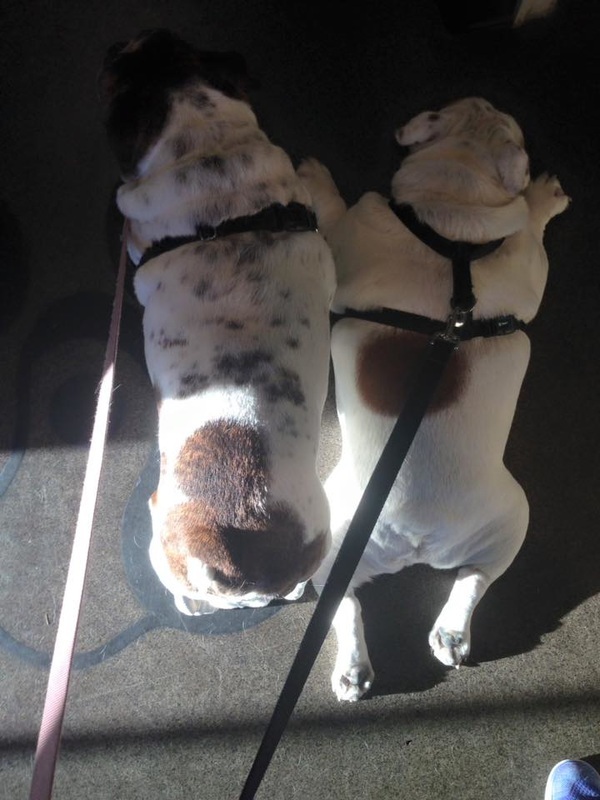 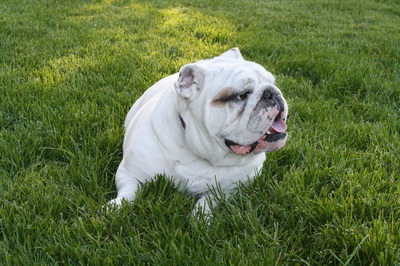 We are fortunate to be able to take in both bulldogs as owner surrenders but with that comes medical expenses and, as you probably know, Bulldogs aren't cheap. 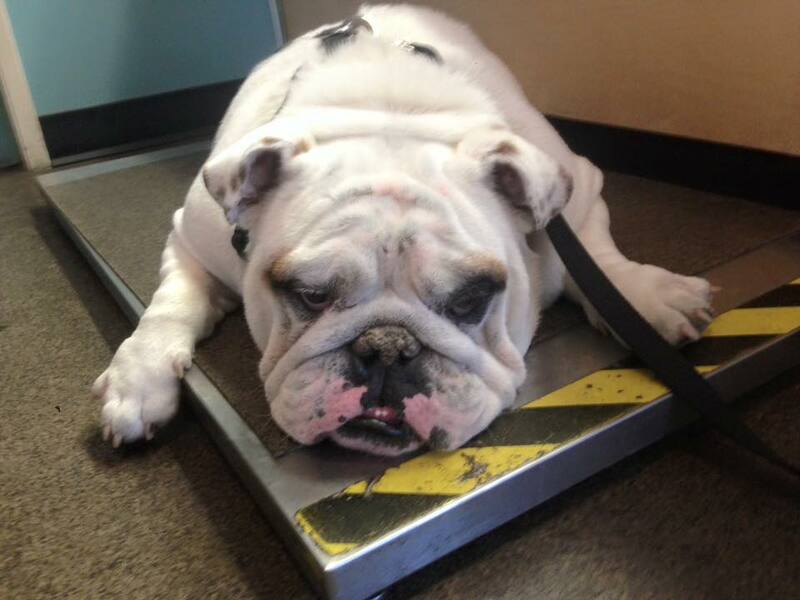 Moto is on Cyclosporine for his inter digit cysts which costs almost $300 a month. 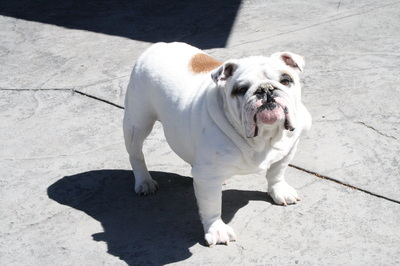 He came in morbidly obese and with a past ACL knee surgery. To help lose weight safely and to reduce strain & joint damage, we are doing hydro therapy. 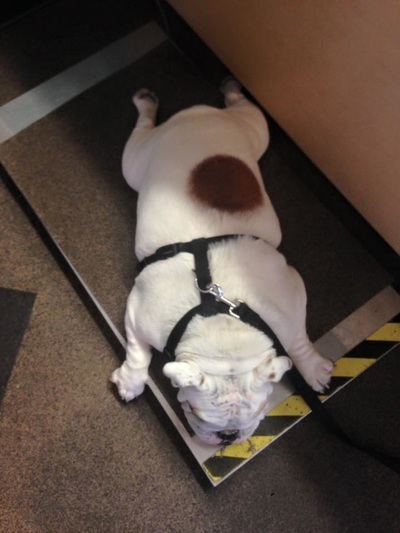 We are being extra careful not over stress his joints. 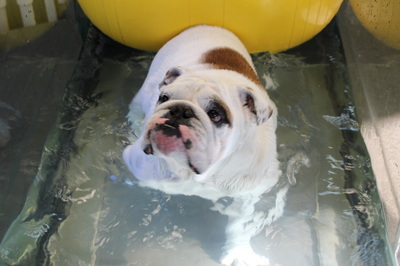 Hydro therapy is amazing but it’s over $500 for 20 sessions and he goes twice a week. 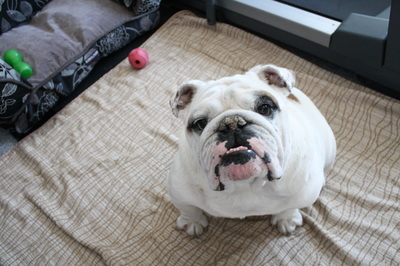 Marshmallow has been in care since the end of May. 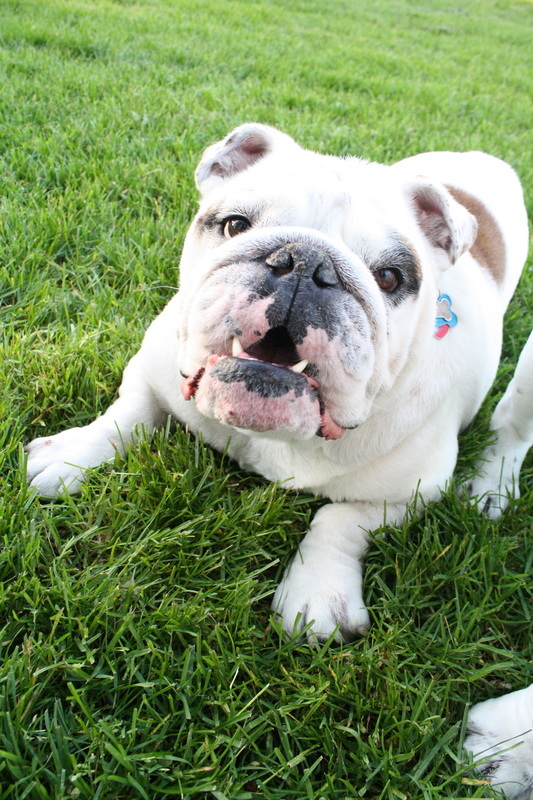 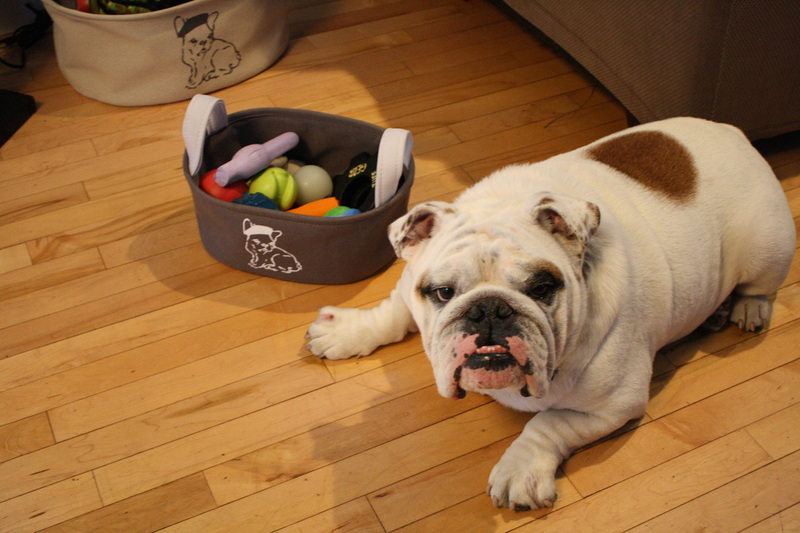 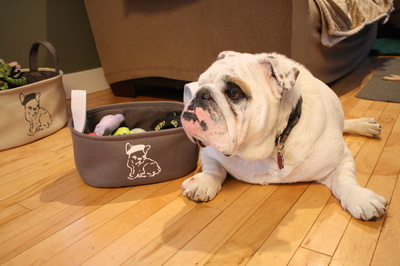 During our care of him, we have taken time each month to keep him on track for his weight loss goals to be a happy healthy adoptable English Bulldog.